Accio, a brand new fall wardrobe. If that’s something on your to-do list before you head back to school (or back to work in the fall), we’ve got exactly the thing you need to go back in style — Hogwarts style, that is. While you (still) might not have your own House robe, you can at least snag a House blazer, which is perfect for all sorts of important meetings, whether they take place in the common room or the board room, doesn’t matter. Also doesn’t matter if you deal in real dollars, or Galleons and Knuts. All are acceptable forms of currency when you’re rocking these perfect blazers. 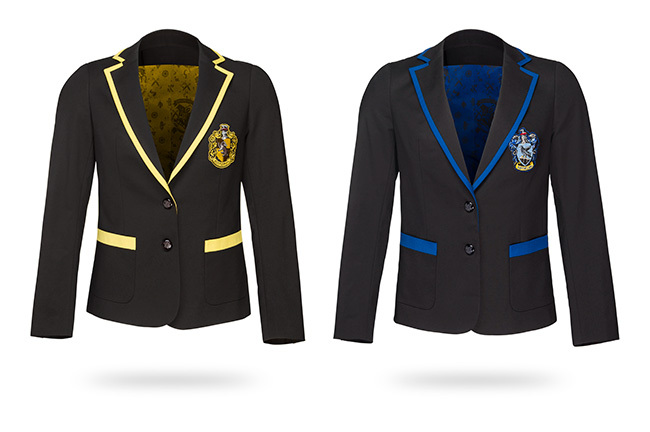 Our friends over at ThinkGeek have just revealed not one, but FOUR of these blazers: one for each Hogwarts House. 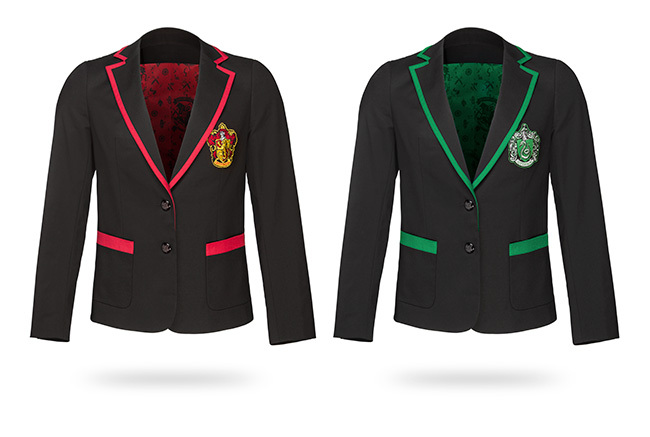 As they write on the product site, “Pick up your official Hogwarts house blazer, and be ready for your owl to arrive.” (UGH, I WISH.) Each blazer has the House crest over the breast pocket, and the coinciding House color as the trim. But those aren’t all the details. The Hogwarts crest can be found on the buttons, and also on the lining of the blazers. And yes, if you’re wondering, there are two shoulder pads, so, score. The blazers are currently in stock *right now,* and you can snag one (or four) for $79.99. They come in sizes XS-3X, so everyone can rep their favorite houses, in business casual glory that would make McGonagall proud.